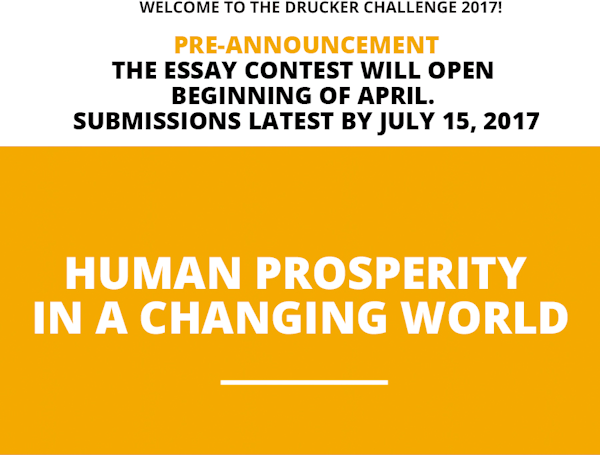 The Peter Drucker Society Europe is pleased to invite students and young professionals from across the world to submit an essay. To declare your interest in participating at the contest and to receiving priority information click the box below. For general questions please contact Gregory Daniels. STAY TUNED: Specific information on the contest may be found on www.druckerchallenge.org by beginning of April. is open to two categories: Students (bachelor, master, MBA, and PhD) and professionals (managers and entrepreneurs) ages 18 to 35. 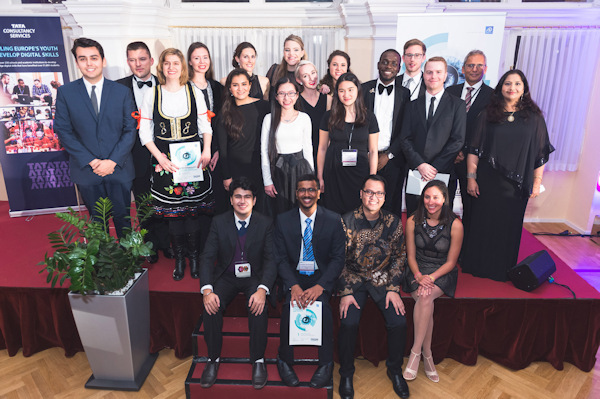 WIN a trip to Vienna, free access to the Global Peter Drucker Forum 2017 with Gala evening and speakers’ reception, € 1.000 in cash, and many more exclusive prizes. Please share this announcement with friends and colleagues who may be interested in participating.